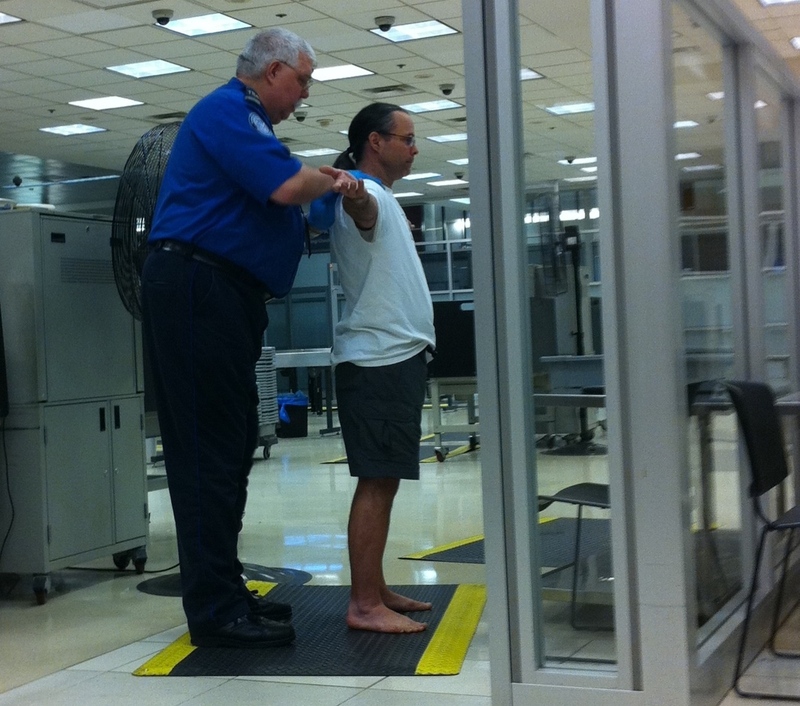 Neither Mike nor I plan to subject ourselves to TSA scanners, on principle as much as on health concerns. I asked to opt-out when we left Seattle, but the scanner was not in use. It did not appear to be in use in Atlanta this morning, but someone picked Mike (it’s that ponytail) — and he opted out. It took me a few minutes to figure out why another man was behind me in the retrieve-your-stuff section of the belt. I took our stuff just outside the security area and sat and waited. And Facebooked. Mike said it was a thorough pat-down. I have a video which I hope is in focus.